Ms. Wargel has been the After School Director and Summer Camp Director since Jan 2013. She is also the school librarian at the St. Agnes Campus. She has three children: Hannah, who recently graduated from USI; Zachariah, a sophomore at the University of Evansville; and Madalynn, a sophomore at Reitz High School. She graduated in May of 2016 from Ivy Tech with a degree in General Studies, and is currently a junior at USI pursuing a bachelors degree in Public Relations and Communications. 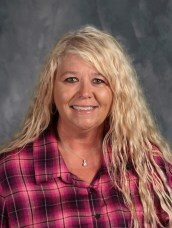 Ms. Wargel enjoys spending time with family and friends, outdoor activities especially boating, baking and karaoke.